With its 2,500 amateur soccer students, the Saint-Gobain French Business School Soccer Championship is the third biggest student event in France. On November 17, 2017 marked the kick-off for the seventh championship in which 38 men’s teams and 17 women’s teams will compete throughout the year to determine who will play in the final held in Clairefontaine, on April 27, 28 and 29, 2018, the prestigious training center for the French soccer team. 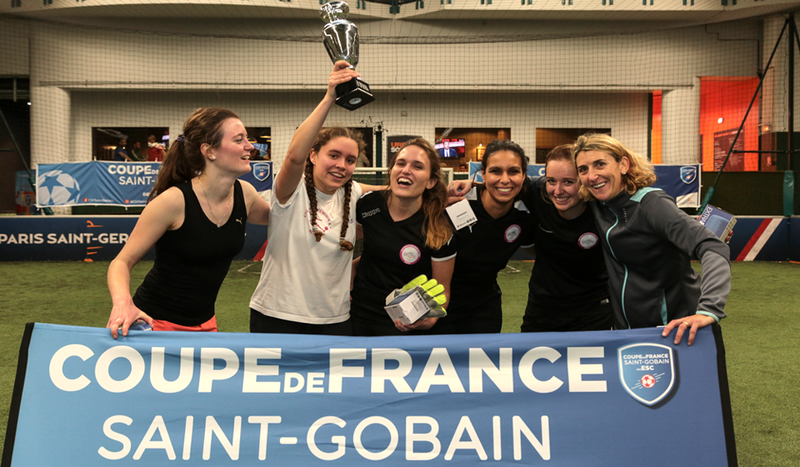 For the past 6 years, Saint-Gobain has been organizing the Business School student soccer championship under the primer sponsorship of POINT.P & Saint-Gobain Distribution Bâtiment France. In 2017, when launching the Group’s new employer brand with its tagline “Invent Yourself. Reshape the world.” the event was renamed Coupe de France Saint-Gobain des ESC. We want to use this partnership to strengthen the ties and values that unite us: solidarity, respect, diversity, commitment and the development of young talent. 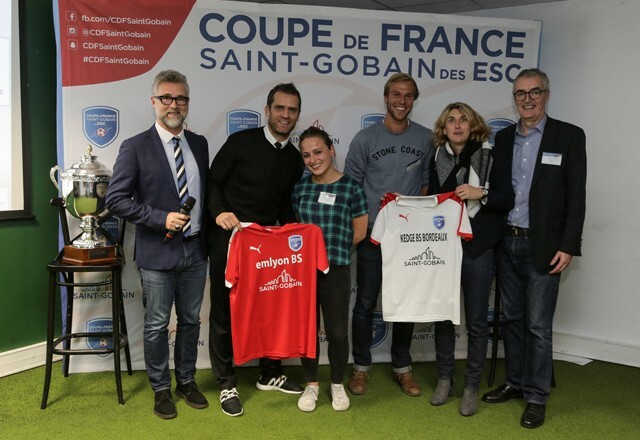 The teams will try to knock emlyon business school and KEDGE Business School Bordeaux students from their pedestal, last season’s winners who competed under the generous sponsorship of Jérôme Rothen and Marinette Pichon, former players in the French soccer teams. The winners will become the co-organizers of next year’s championship. SOME PLAY ON THE FIELD. OTHERS ON THEIR KEYBOARDS. The Saint-Gobain Business School Soccer Championship also welcomes its supporters. Saint-Gobain has created a specific Facebook page so that everybody can check the results and information about the Championship, and encourage their favorite team. Since the beginning of the seventh season, the page has exceeded 13,000 likes. There is also a summary of the matches on Snapchat (CDFSaintGobain). Students who regularly take up the challenges launched on Facebook @CDFSaintGobain and Snapchat will be in the running to win the Supporter Trophy, including a table soccer game personalized with their school’s colors and an iPad engraved with the event’s name. Check out all the photos on the @CDFSaintGobain Instagram account. Some great sporting moments to share together over the coming months. You too can take part in the Saint-Gobain Business School Soccer Championship by joining us on social networks using #CDFSaintGobain.